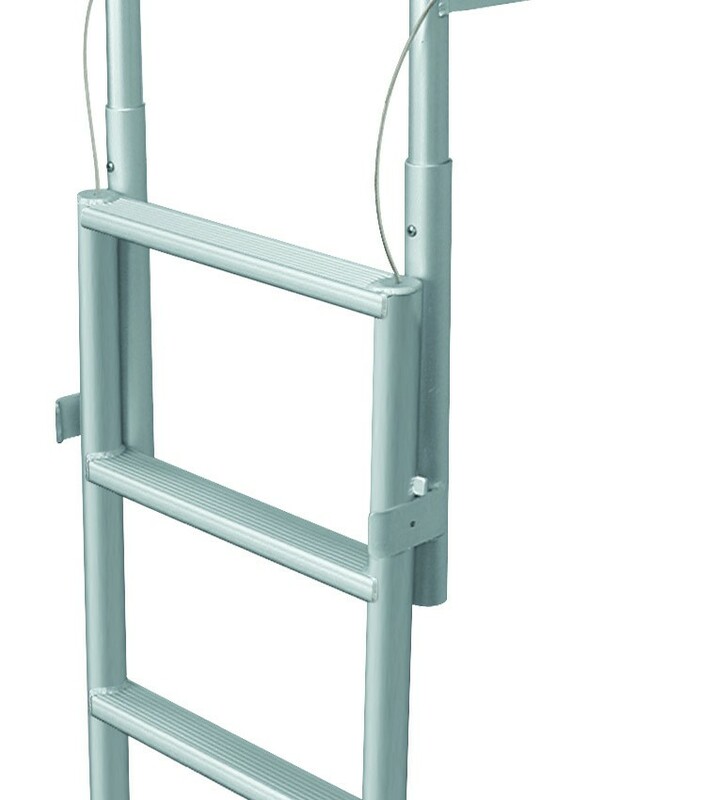 Hinged dock ladder swings up out of the water and secures when not used. 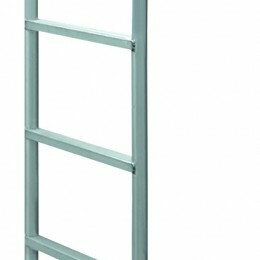 The Hinged Dock Ladder allows for the ladder system to completely flip up out of the water. 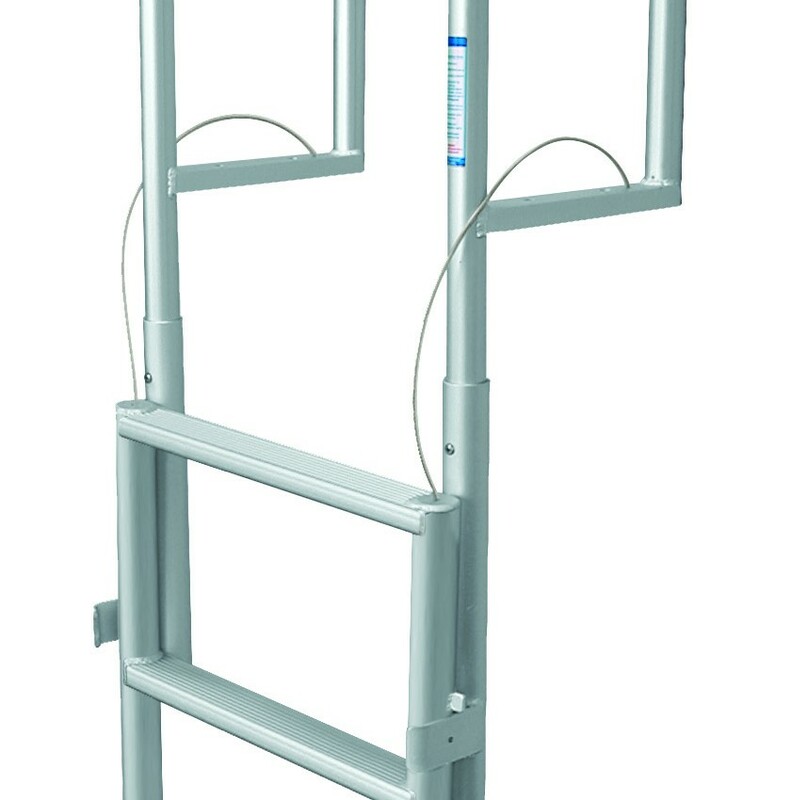 When not in use, simply swing the ladder into the air and lock it in place using quick release safety pins provided. This feature helps prevent marine growth on the steps and also acts as an additional safety function. 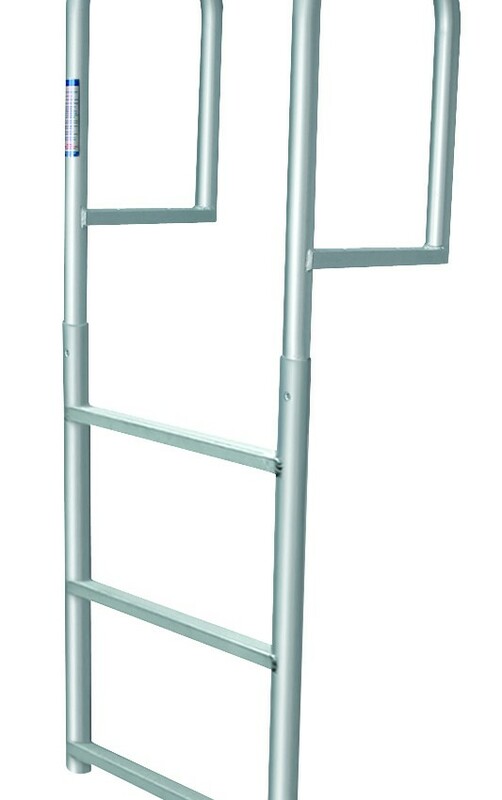 Hinged Dock Ladders are made of 6065T-5 marine grade, anodized aluminum and supports up to 750lbs. per step. Rounded handrails are 20″ high and extend 12″ onto the dock. Standard 2″ Step width and grooved treads provide added safety and prevent slippage as you climb up. 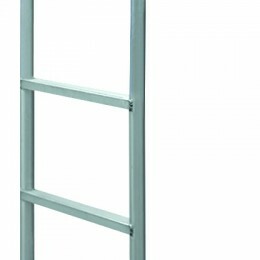 This hinged dock ladder is suitable for stationary docks, floating docks, and seawalls. 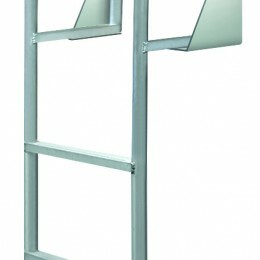 Mounting hardware is not included but is easily purchased at any hardware store depending on your mounting surface choice. 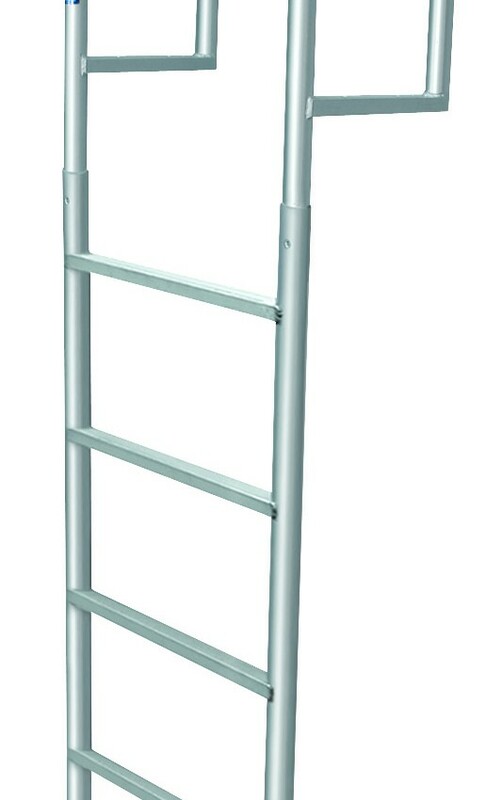 Ladder requires some assembly and includes assembly hardware.